Classic comic hero Judge Dredd takes to the silver screen once more in a much smaller scale story than the previous Stallone vehicle from almost two decades ago (I feel old). 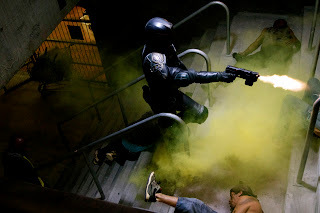 This time Karl Urban dons the helm of Dredd to tackle a dangerous drug that imbues users with the ability to perceive the world around them in slow motion. Dredd is a property that's ripe for a good translation to the big screen. It's maybe the best known comic to come out of the UK and it's just begging for a great movie translation. Don't get me wrong, the Sly Stallone 'interpretation' of the character wasn't really all that bad per say, it just didn't have enough of the character for my liking. A lot of people complained about the fact that he didn't wear his helmet throughout the film (something that the comic book Dredd is known for), but really what did you expect? I doubt that Urban will be doing any different this time around either. There were some really cool ideas in the movie though and the whole helmet thing didn't really bother me much. There were a lot of other changes to Dredd's backstory in the movie though and I really didn't like Stallone in the role too much. But then again, 2000AD fans were probably pretty lucky to have even gotten what they did. Comic book movies weren't exactly treated with a lot of respect back in the '90s- happily, that's changed quite a bit these days. 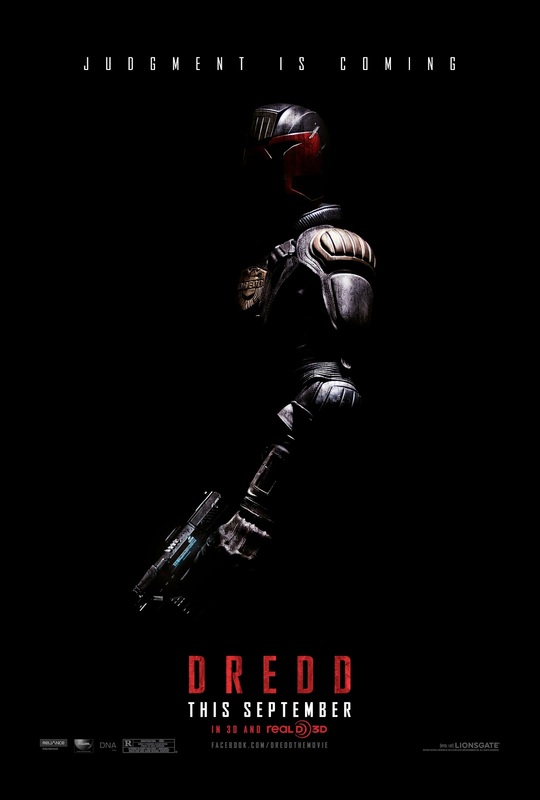 Reserve your judgement fans- we'll see what Garland and Travis' Dredd looks like this September the 21st in theaters everywhere. Crossing fingers... now.